Now that children are back in school, it is time for the Parents Associations and Committees to get active on behalf of their schools. Many things are always on the agenda but without the finance it is difficult to plan ahead, so how do we fundraise? As we all know the lifeblood of any school committee is the influx new ideas and this is why MYCalendar.ie has been created. EVERY Child gets to create their own MYCalendar. Every parent loves to have their own child’s artwork on display. Every teacher can use MYCalendar to teach Maths,spelling and drawing using the free MYCalendar supplied to each class. Each family will get great value from MYCalendar throughout the year., as it can also be an ideal Christmas present. Each MYCalendar comes with a sheet of 105 free stickers that everyone, young and old, will have fun using. 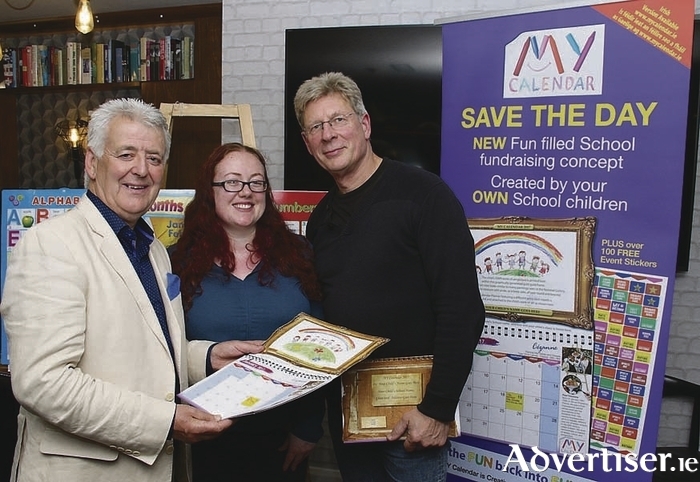 Peter Martin, the founder of MYCalendar has been the energy behind bringing fundraising ideas to primary schools across Ireland for the past 10 years. “During this time, I have seen how committed the Parent Associations are and how hard the committees work to earn much needed funds for the activities in their schools. “Asking for money is never easy so new ideas are always sought and innovative fundraising ideas are the life blood of any committee. With MYCalendar we aim to put the FUN back into FUNdraising.There are many calendars on the market but MYCalendar has its own unique identity. It’s educational as each page/month of the calendar features interesting facts about famous artists such as Renoir, Van Gogh, Leonardo da Vinci and many more. The calendar is an education tool marking the birthday and telling some facts about an artist each month. “It helps in improving numeracy awareness — There are 105 self adhesive stickers with every calendar. The child is encouraged to actively engage with the calendar month, marking out the days such as friend’s birthdays, school holidays, dentist appointments, non-uniform days etc..
“It’s easy to run out of fundraising ideas and you can sell only so many raffle tickets. MYCalandar is a great classroom exercise to involve all of the children and to have fun. Each child gets to show the template of their picture to their parent before they commit to buy the calendar. We even encourage the teacher to do their own picture! (each Teacher receives their own calendar free ). “They also make great Christmas gifts! Parents can order as many or as little as they wish. The retail price is €10 and the school keeps €2.50. It is entirely Irish from concept, design to printing and delivery. MyCalendar is also available as gaeilge. They are based in Athlone, Co. Westmeath and you can call the office on 0906 400600 or Peter Martin directly on 085 7481153.